Vallabhbhai was born on October 31, 1875, in a farmer’s family in Nadiad, Gujrat. He matriculated from Nadiad High School in 1897. He sailed for England in August 1910 to study law and qualified as a barrister in 1913. He practiced in Ahmedabad, joined the Gujrat Club and took to western dressing and a comfortable lifestyle. When Gandhiji started coming to the Gujarat Club to give lectures, Vallabhbhai was impressed and slowly began to adopt Gandhian views. In 1918 farmers of Kaira lost their crops to heavy rains but the Government insisted on collecting land revenue. Vallabhbhai organized the No Tax campaign on peaceful, Gandhian lines. The government held out and began confiscating land and what little crops and cattle the farmers still had. Vallabhbhai, now decked in a dhoti, kurta and cap urged the farmers not to buckle. The government eventually relented and returned the confiscated property. This was the first victory of Satyagraha for Vallabhbhai. Vallabhbhai took to spinning the charkha, boycotted foreign goods and clothes and burned his foreign possessions on public bonfires. He participated in the Nagpur flag Satyagraha from May to August in 1923 in protest against the stopping of a procession which carried the national flag. Sardar Patel was imprisoned with Gandhiji in Yervada Jail, Pune, where they spent 16 months together. On August 8, 1942, the Congress passed the “Quit India” resolution, calling upon the British to withdraw from India. The Government responded with arrests of Sardar Patel, Jawaharlal Nehru, Gandhiji and other eminent Congress leaders. Sardar Patel was imprisoned in Ahmednagar Fort. 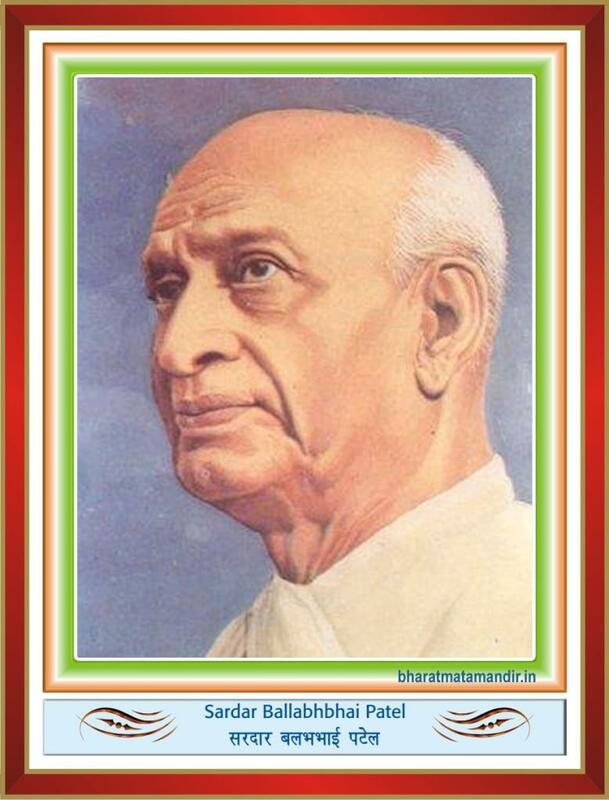 After independence, Sardar Patel formed the Indian Administrative Service, Indian Police Service and other Central Services to assist in the process of nation building. The “Iron Man of India” died in Bombay in December 1950. He left behind a united India.